It has been well documented that Thato Moagi has been selected as South Africa’s first Nuffield Scholar. 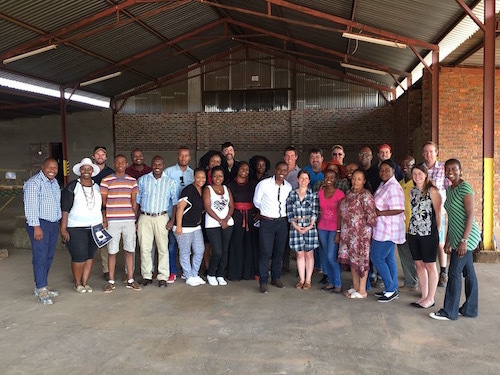 Thato was introduced to Nuffield during the 2016 Global Focus Program (GFP) when the Scholars met with a group of young South African emerging farmers in what was billed as a “Farmers Exchange”. This exchange had been arranged by Nuffield through the auspices of Hlami Ngwenya, an inspirational South African who is a realist within RSA, with a passion to mentor and empower people to achieve outcomes themselves. The Nuffield Scholars who participated found the experience very rewarding, but importantly it unearthed Thato. However, there was one important ingredient missing before Thato could apply for a Nuffield Scholarship. That was an investor who was willing to invest the considerable funds in making a scholarship available to a South African. Shaun Cawood, Managing Director of Northern Star, a RSA agricultural development company, had attended the 2015 CSC in France after being invited by Bill O’Keefe, Nuffield Ireland Chair. Bill had met Shaun at a Rabobank Global Farmer Master Class in The Netherlands and Shaun was so impressed with the Nuffield program, he committed the funds for a South African Scholarship. 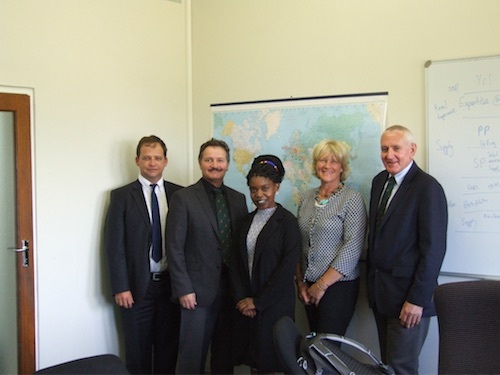 Subsequently, Thato Moagi was interviewed, and after her bon fides had been well-established by visiting her farming operation, she was awarded South Africa’s first Nuffield Scholarship. Thato’s award has been a catalyst for Allison Lea, who sat on the selection panel, and Doug Hutton-Squire, 2009 UK Scholar domiciled in RSA, to endeavour to compile a list of Nuffield Scholars living in RSA. The intent is to establish set up a small website, with a South African focus, to create awareness and galvanise support for an RSA Nuffield Trust. This is a great initiative by Alli and Doug which NI will give as much support to as possible.